Chu, who started her career as a coxswain at Princeton in the late 1980s, is now the head coach of women’s crew at William Smith College in upstate New York; she’s led the women’s rowing program at William Smith since 2002. “It’s crazy, doing everything we need to do in nineteen weeks of practice.” Chu starts off by educating me about the Division III schedule. Seven weeks of coached-practices are allowed in the fall and twelve weeks of coached-practices in the spring. “D-III is definitely a teaching environment,” she says. After graduating from Princeton in 1991, Chu earned a master’s degree in English and Creative Writing from New York University then headed back to the boathouse she had coxed out of during her collegiate career. William Smith College sits on the northern-most end of Seneca Lake, one of the New York Finger Lakes. It shares a campus with Hobart College and together the two colleges offer a distinctive heritage of liberal arts interdisciplinary education and research. Chu has worked for the past fourteen years to build a program that has a culture of community and excellence. The finish line has shown her crews to be at the top of their league, season after season. In the past fourteen seasons Chu has led her team to the NCAA Championships eight times and to the Liberty League Championships nine times. Of course, this is what every coach strives for, what all the winning programs are built on. I ask Chu about her approach to building a specific culture–a distinct work ethic–among her athletes. Chu was a walk-on coxswain at Princeton in 1988 and her approach to finding recruits stems from that. “I didn’t think I was going to row at Princeton. Actually, the coaches made it pretty clear I wasn’t going to row.” Chu is just over five-feet tall and was a tennis player in high school. When she asked the Princeton novice coach if she could try rowing even if she’d never rowed before, her question was met with a chuckle; she promptly learned that rowing wasn’t going to be in her future but that there was another seat in the boat that might suit her better. After being convinced by some friends that she was just right to cox, Chu joined the team and led the Tigers to medals at the Head of the Charles and the EAWRC Sprints Championships. Chu knows firsthand that being a walk-on coxswain is not easy. “You get recruited [as a walk-on] and put in the seat. They say, ‘Here’s a $35,000 boat and eight other people. Good luck.’ When I’m looking for walk-on coxswains, I look for someone who looks like she can respond to input, is pretty smart, and has social capital.” Chu thinks back on her collegiate career and says, “There was so much that I didn’t learn in those four years that I’ve learned since then. There are so many connections I have to help my coxswains get to sooner. I want them to have Junior-year speed as a first-year cox. As we talk, I feel myself bracing a bit. 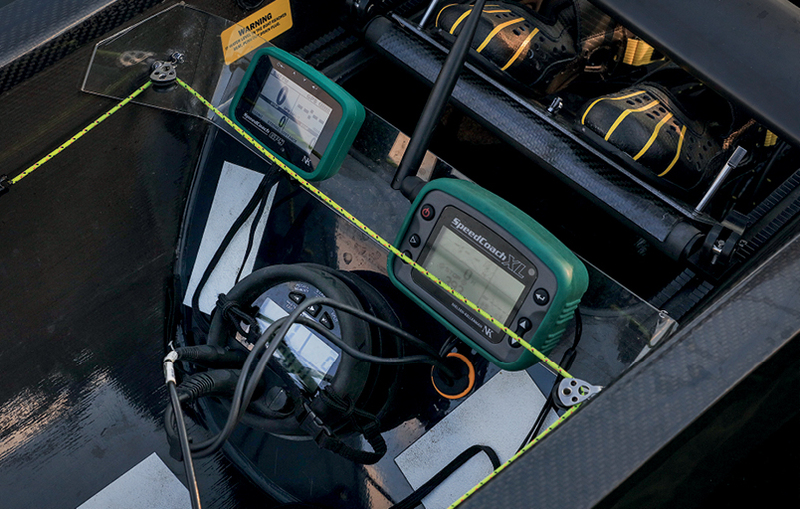 Most coxswains know when something is good, and when it needs correcting. I knew, as I listened to her words, that writing Sandra’s Chu’s story would feel much like coxing for her would: getting the tone just right, relaying her messages in the right way. Writing about a coxswain is as nerve-wracking as writing can get. Coxswains have big voices; it's best not to talk in the boat, if you will. During the 2012-2013 season, William Smith was third in the nation; they had unprecedented success. Then, two years later, as Chu was rebuilding her crew after her seniors graduated, her most experienced coxswain came into her office to talk. The cox knew her crew wasn’t going to be as competitive as previous crews, but still she wanted to give everything she could to the team. “I know we’re not going to have the same speed this year, but I’m done being sad about it. I’m a Senior and I know I’m not going to have ‘the year.’ Tell me what you need. How do I leave this program so that it can have the speed in the future?” Chu explains, “Everything that coxswain did from that day forward was focused on that goal. She gave leadership positions to others, she explained things to younger coxswains. She was infectious, and it wasn’t for herself. She would say to her teammates, ‘We’re going all in because that’s what we can do.’” Chu gets pensive as she finishes the story. “It takes a team player to be that ‘team first.’” And so we’re back to building a culture of community in the team. I probe into the changes Chu has seen in her nearly-two decades of coaching. “What we’re seeing now is that students want an ‘Easy Button.’ Our students have a hard time understanding that it takes a long time to be successful. Your coaching has to change. You have to figure out what makes Millennials go. Sometimes you have to be the anti-thesis of everything they’ve experienced. I’ve had kids that I’ve been the first person that has said ‘No’ to them. “Here’s what’s important: failure is often a win.” Chu slows down here and I wait, sensing that this is what has driven her to refine her coaching, this is what has pushed her to seek to understand her athletes beyond just their outward appearances. Chu seeks to understand what drives their personality type, what motivates each of her athletes beyond their previous best. “We’ve designed practices where they can’t succeed. I teach the coxswain to say, ‘We didn’t get that number, but here’s what we did do.’ I want her to grow her ability to be mentally resilient. The coxswain is a statistician, a historian.” Chu asks her coxswains to be the team statisticians during winter training, as well as during the on-the-water workouts. She maintains logs of every workout her team has done (since 2003). “Every workout, every student. I’m a big fan of technology. We use a shared data sheet in OneNote.” To her great disappointment, she says, Google Sheets doesn't allow the entry of tenths of a second. She shares the OneNote data sheets with all of her rowers, coxswains and coaches. During erg workouts, her coxswains work together to divide the 40 rowers into groups they can effectively manage and ensure everyone’s workout data is recorded. only way to get speed is to yell. "The coxswains run the practice. All I have to do is coach.